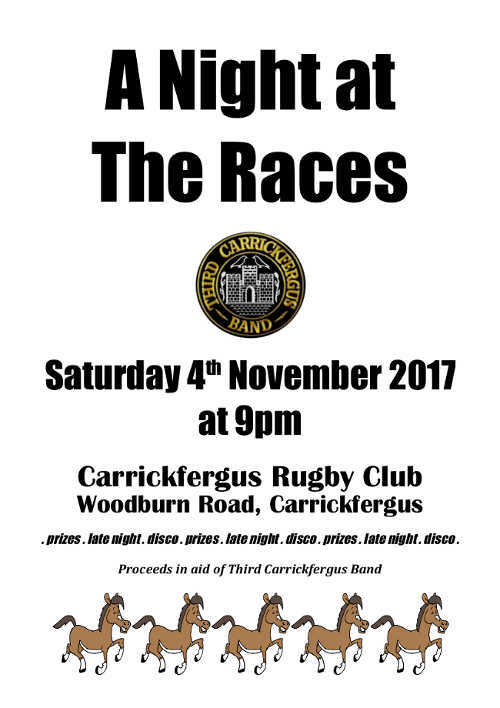 Band to Host a "Night At The Races"
The band is hosting A Night at the Races with prizes and a disco at Carrickfergus Rugby Club, Woodburn Road, Carrickfergus starting at 9:00pm on Saturday 4th November. Is is set to be a great night of fun and we welcome your support. Please come along and join us if you can. Proceeds in aid of the Third Carrickfergus Band.